September 21, 2017 – Honeybee Robotics Spacecraft Mechanisms Corporation today announced that its solar array deployment system has performed successfully on FORMOSAT-5, the most recent Earth observation satellite to be launched by Taiwan’s National Space Organization (NSPO). The 475kg satellite reached sun-synchronous orbit on August 24, 2017. 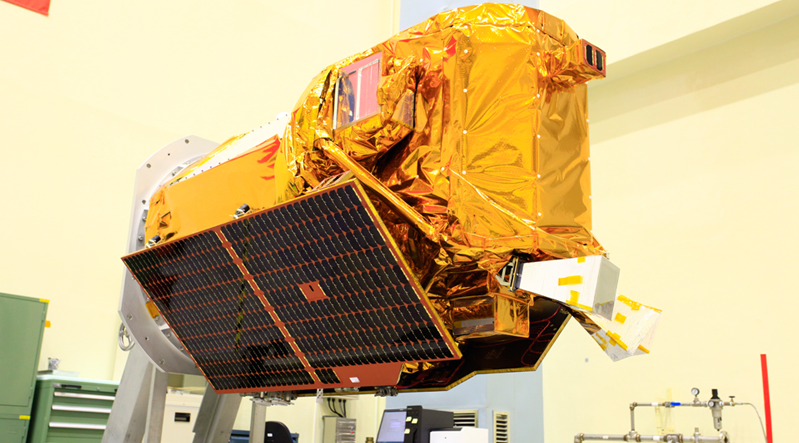 Honeybee provided NSPO with six solar array deployment hinges for the FORMOSAT-5 satellite. The design of these units, based on the flight-proven models Honeybee provided to the United States Air Force on STPSat-1, emphasized high reliability as well as high deployed stiffness and strength, which enables agile maneuvering and alleviates requirements of the spacecraft attitude control system to compensate for structural flexibility of the solar arrays. Honeybee develops a range of spacecraft technologies, ranging from mechanisms to subsystems, that provide spacecraft with reliable, high-performance capabilities. In over 30 years supporting space platforms, the company has developed systems for attitude determination and control, power and signal transfer, motors and actuators, solar array deployment systems, end-effectors for manipulation, and docking and coupling systems. Since 1983, Honeybee Robotics has completed more than 350 advanced projects for NASA, the US Department of Defense, academia, and industry. Based in Longmont, Colorado, the company maintains offices in Pasadena, California and Brooklyn, New York.